"Beating Heart" is a song recorded by English singer and songwriter Ellie Goulding for the soundtrack to the film Divergent (2014). The song was written by Goulding and Joe Janiak, and produced by Greg Kurstin. It was released on 22 April 2014 as the second single from the soundtrack. "Beating Heart" made its first chart appearance on the Canadian Hot 100, where it debuted and peaked at number 79 on the issue dated 15 March 2014. The song debuted at number 98 on the Billboard Hot 100 chart dated 5 April 2014, having sold 55,000 downloads as of 23 March. The following week, it rose to its peak position of number 88. 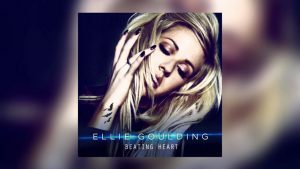 You can download Beating Heart - Ellie Goulding ringtone at Tones6.com now!